For many blogs, the biggest source of traffic from a social network is Pinterest. These are the last month’s stats for a blog that hasn’t been updated since the autumn of 2012. The slowest day had about 200 views; the best day, over 400. Just sitting there, dormant, this blog has traffic that many of us would do a happy dance to achieve. Okay, yes, I’m having a little fun at the cake’s expense. But I would still eat the crap out of that cake. Pinterest is a virtual, sharable bulletin board. When you find something on the web you want to remember or share, you can pin it to your board. You can create multiple boards — if you need to separate your purple ombre cakes from your yellow ombre cakes, for example, or if you pin a wide variety of things, like The Fashion Medley’s Elif — to organize your collections. Each pin links back to the website where you first saw whatever it is you want to remember. Once you’re on Pinterest, you can follow other users and browse their collections. If you see something you love, you can re-pin it onto one of your boards — like reblogging on WordPress.com. As you develop collections, you not only create a handy catalogue for yourself, you become a resource for your blog’s readers and for other Pinterest users who admire your excellent taste… some of whom will find their way to your blog. It’s especially useful for supplemental content that you wouldn’t necessarily put on your blog, but still want to collect and share. If you’re a book blogger, your site might feature reviews or affiliate links for your absolute faves, but your Pinterest boards are a place to park all the other titles that catch your eye. Unsurprisingly, Pinterest is a hugely popular way to share content with a strong visual element — food, fashion, and memes abound. In our stats example, the blog is food-focused, so there are lots of drool-inducing photos that make great Pinterest fodder. 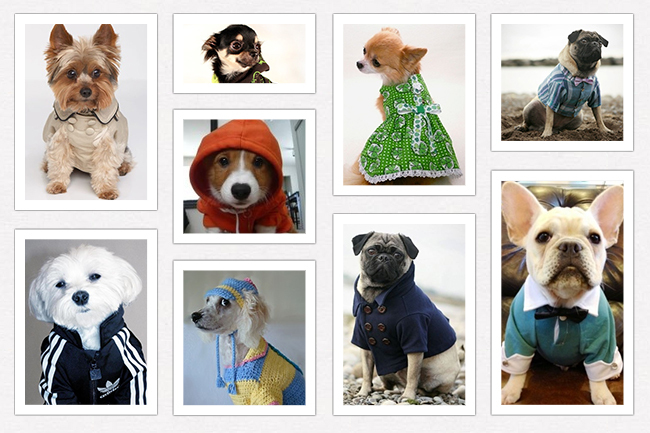 Dog rainwear designers and aficionados should also be sure to take advantage of Pinterest. Food bloggers: Share images of your own finished masterpieces, and keep a virtual recipe box of need-to-make dishes you find as you read other blogs, like Mrs. French. Style bloggers: Pin other bloggers’ looks and must-have items from other blogs and shops, and create a virtual dream closet à la The Fancy Pants Report. DIY/craft bloggers: Collect projects you love, or tools and materials you’re drawn to for your readers’ (and your) easy reference, the way M&J Trimming does. Design bloggers: Share the photos of interiors or products to create an online vision board, like Lyndsay of That 70s House. Photo bloggers: Collect shots you love. Sort them by subject or style (black and white, macro, street, film…). Be inspired to stretch your own photography, and inspire others the way the blogger behind Flights. Camera. Satisfaction. does. Travel bloggers: Places you’ve been, places you’d love to go, offbeat locations that aren’t on most travelers’ radars — all ripe for sharing, as On the Luce’s Lucy Dodsworth has. What about me? I’m not any of those things. Pinterest can be low-stress way to explore peripheral interests. Maybe you mostly blog about writing, but love gardening, working the occasional gardening metaphor into posts about language. Start some gardening boards! Readers who are interested in gardening can visit them and learn more, but the focus of your writing blog remains the same. Maybe you write about attachment parenting, and use Pinterest to collect ideas for your toddler’s room renovation. Anyone can use Pinterest as a visual bookmarking system, or explore it as another way to connect with an audience. If the thing you want to save or share has a visual element, you can pin it. Album covers. Animated GIFs. Sports. Cars. The vast majority of things we create and share on the internet are connected to something visual. What do I actually do with it? Need inspiration for your stand mixer’s next custom paint job? Pinterest to the rescue! As with any other social network, you’re using it to continue and expand what happens on your blog. Feel free to pin your own posts… but don’t pin your own content exclusively. There’s no reason for anyone to follow you on Pinterest if the content is identical to your blog. Spread the love, and spread the traffic. Re-pin posts you love to help spread the word. Unlike reblogs, which some bloggers don’t love, pins are meant to be pinned and pinned again. Check the rights before pinning possibly copyrighted content. Lots of people don’t mind having their photos shared, but some do — check the license for images you pin before pinning them. If the photographer reserves all the rights, or you’re otherwise unsure, ask before pinning. Consider a blog-specific account if you use Pinterest for very different purposes personally and, um, blogularly. Alternatively, you can set personal boards to be private and limit what you share. Finally, if you use Pinterest to share products you like, you can use affiliate links on your blog for the ones you particularly love (think the Amazon Associates program, one of the most frequently used). Most affiliate links for reputable merchants are welcome — highlight books, music, clothes, gadgets, or any other product you love and recommend to your readers. Do you use Pinterest? Does your blog get substantial traffic from Pinterest? We’d love to hear more about your experience with it. I actually started out by collecting steampunk stuff on pinterest and then decided to blog about it. Unfortunately I don’t seem to be seeing much traffic from pinterest, but I’ve only recently started pinning my own posts so hopefully that will help. I am finding you, and following you. Steampunk is an exotic, grungy, unique art style. Love it! This is so true!! I get more clicks and followers from Pinterest than anywhere else! Be sure to have Pinterest as one of the sharing options on your posts — when your readers start to pin them, that’s when you see a traffic impact. How can I make the Pin-it logo more noticeable on my blog? I think my blog would benefit from some pins but the logo is only there if you really look for it. I have a free account if that makes a difference. Thanks! I love steampunk art too — and was happy to find your comment here so I could follow your blog! And, great name! I’m just learning how all this works, so I’m following the daily post closely. I’m glad you found me 🙂 I only started my blog at Halloween so I have been doing a lot of scouring of the daily post too! My first peek into steampunkery was a burlesque show. My friend was performing or I wouldn’t have known about it at all. Cheers! Love seeing ya’ll make these connections! I’ll have to have a look. It could provide some useful inspiration since I’m currently 25,000 words into a steam-punk novel. Wow. Well done so far. What word-count do you think you’ll end up hitting. Sounds good. I have a habit for creating new characters only to do nothing with them. It’s a bit of a task to try and incorporate them into a motivated plot and not just design them as independent to the rest of the story. I have a Pinterest account but have never used it. This is brilliant information – you’ve inspired me to start developing it. Thank you! Hmmmmm. I’ve been thinking about Pinterest. Just can’t seem to find a way in for me, although I’d love to. I’m wondering about tips on saving time around the home….in a slightly tongue in cheek way….but then I was thinking of using facebook for that. I want to use Pinterest, Facebook and Google + all for slightly different elements that support the blog….perhaps I am over complication it? Not at all, social sites are a great avenue for traffic. But I would recommend using a utility like Hootsuite to manage all your social profiles at once. Hootsuite? Ok – I’m on it. Thank you for the tip. I really need to get back to Hootsuite. It was definitely useful. Not overcomplicating at all — using different forums for different things is smart. Readers use those sites differently, so you should, too. I have gotten some great traffic from Pinterest as well! My best blog day was a direct result of a drink recipe that I pinned. The only downfall though is that most visitors from Pinterest are only one time visitors and not repeat readers – at least that’s what I’ve found. It’s true — I’ve largely found the same. But then, you never know who’s going to stick around, and I find Pinterest to be pretty low-effort. You’re surfing the internet anyway, to hitting the “Pin” button doesn’t add much time/effort. Love Pinterest. Takes a bit of getting used to but I read it was used by many business women to promote their business. A lot of my views actually come from tumblr or pinterest. Mostly tumblr and since a lot of the topics like “natural hair” is what women need help with most or are in that area, I get a lot of views from that but surprisingly no one barely comments. I never knew Pinterest is that important! I do have an account but I seldom use it. I have never used it for my blog. It’s not important for everyone — your audience might not be on Pinterest. But it’s worth experimenting with, for sure. Believe me this got me wired. I hadn’t thought at all about using Pinterest ( which I’m addicted to for a multitude of reasons ) for promoting my blog. I’ve had it for awhile, just sitting there. I just went in and refreshed it a bit, but still not sure about taking the time with this along with Flickr, Twitter, Facebook and WordPress! Seem like a lot. If you’re using other networks and are having some success there, then keep on keeping on! As mentioned in a comment above, not everyone’s audience is on Pinterest, and you certainly shouldn’t join just to join. 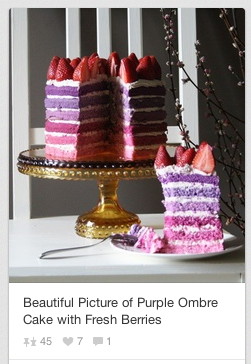 If nothing else, I have learnt what an ombre cake is… What a strange world! Not to rain on anyone’s parade, but this sort of platform encourages photographic content theft. It cannot be stressed enough that people must not post the work of others without first getting permission of the content owner. I explicitly chose to NOT list this platform in the “share this” buttons on my blog, but some are reposting my copyrighted material any way. Who wants to have to go to the bother of a DMCA takedown? People should be respectful and never post without permission. True that — always respect the photographer’s rights. Thanks for emphasizing that. I recently started using Pinterest to promote my blog, but I am an avid pinterest user! I’ve stumbled across many hilarious and inspiring blogs through pinterest. It literally has everything! I have been going back and forth on the pinterest thing…. but you have convinced me, I will set up an account this weekend. I have heard others talking about Tumbler, would that be a worthwhile endeavor as well? How do you link something on Pinterest back to your blog? I don’t understand. You “Pin” your blog post to Pinterest, and when another Pinterest user clicks on your Pin, they’re taken to your blog. You can add a Pinterest sharing button at the bottom of your posts to make this easier and encourage your readers to pin it as well — go to Settings –> Sharing in your dashboard. This is not about Pinterest (yet) but about widgets (what day were they?). I created a blogroll and one of the items I listed to follow is: Zero To Hero, 30 Day Challenge. Someone joined the contest, TODAY, because they saw it on my site. That’s what I’d call a team working win-win!!! Excellent! The more the merrier. I love Pinterest! I have not had any traffic from it, but I find it is a wonderful place to visit for a while. It is a bit like reading a magazine. Once you get started it’s a little addicting! The Pinterest rabbit hole can be a dangerous place! I just started linking up my Pinterest account to my blog a couple months ago and pinning some of my food creations. What I discovered was that people had beat me to the punch already! My blog was already being pinned by (very few) people on Pinterest! I was amazed. Within a few weeks it has already become my 3rd largest traffic source. Truly necessary for food bloggers. Definitely — the traffic graph shown above, which was my food blog, has massive Pinterest traffic coming from my readers pinning and re-pinning. Eventually, I stopped pinning my own posts entirely; I no longer needed to. 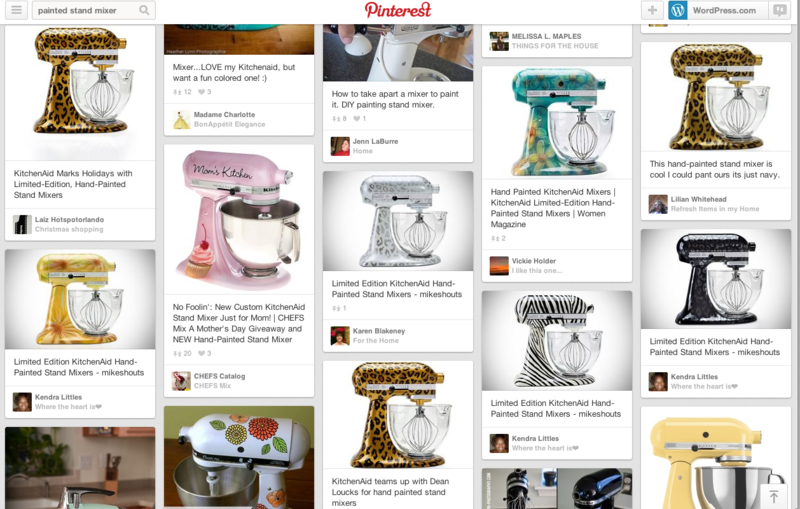 For food bloggers, Pinterest is HUGE. Just when I started to wonder if Pinterest is worth it, I read this. Pinterest has always sort of baffled me but I do keep plugging away at it. Hoping it pays off. And now I want cake. I use pinterest, but not nearly enough! Do you only pin your blog? Or can you pin anything on your website? You can pin anything from your site — but pinning yourself should be less of your activity. Pinning others should be the bulk. Otherwise, following you on Pinterest is no different from following your site; there’s no added value. I had a Pinterest and deleted it the very same day I signed up because I was turned off by all of the Chiffon Cakes and wedding-like stuff on it. The sad thing is, I really would like to use Pinterest. I write a philosophy and social-consciousness blog but I wonder how successful it would be on Pinterest, based on what I saw. Question (not meant facetiously): why do you want to use Pinterest, given your experience of it? If your audience doesn’t spend much time on Pinterest, you’re not going to see much Pinterest traffic. Similarly, if the sites/items you’d want to pin don’t have the kind of visual emphasis Pinterest demands, it may not be a useful avenue; there are probably other ways to collect and share content that would be more up your alley. Given the topics you mention, I’d actually spend more time exploring Twitter than bothering with Pinterest. It appears there’s a missing word in your question: “why do you want to your Pinterest”- I’m curious of the verb intended to be used. Thank you for the feedback, though. I do appreciate it. If your audience is using Pinterest, then by all means, explore how you can engage there. Once you get yourself set up, it’s pretty easy to avoid all the cupcake photos. Ah… thank you for clarifying! I will try again and see how I can it functionally serve. Thank you and be well! I use Pinterest and love it! It is a bit addicting, so for those who haven’t check it out, you are in for a real treat. There are so many wonderful boards, from beautiful photography to infographs for business owners. Pinterest is a whole new world! Happy Pinning! I’m having trouble ‘verifying my blog’ – it says about inserting some text….how do I do that? I made a board for my blog, where I pin my posts, but also other outdoors-related things and pretty pictures. Between that and hashtags, I gained over 3000 followers in a handful of months for mostly that one board- it was astounding. However, like others have said- it’s such a strong visual element, that a lot of people repin it for just the image on their own board. I get the most visits for my food posts and recipes. Occasionally, how-to posts will get some traffic. Hashtags on Pinterest can help, too. I’ll get a few views a day from Pinterest and I’ll take it- I tend to get 0 from Facebook and Twitter. Personally, I find it really irritating when a pin doesn’t take me to the site, but to a larger version of the image (or worse, another pin — infinitley recursive pins!). I highly recommend that you always pin from the original site, to make it simple for others to find the info. I have avoided Pinterest, and this is one of the reasons. It seems like pinning primary sources is the exception rather than the rule, and I could never find what I was actually looking for – like where to actually purchase that fabulous Mischief Managed coffee mug with the Grim in the bottom. I never did find the source for that one, and I’m still bitter. And I believe it’s copyright infringement to NOT link back to the original owner to credit them. This is the second nudge I’ve had in a week about using Pinterest, but I still resist. I imagine the hit my productivity would take if I ever joined. After reading this I see I underutilize my Pinterest. Plus, I’m not pinning much of others pins. I’ve gotten some traffic from Pinterest but overall very little. Now that you’ve given some great tips on how to use it I will definitely apply them. As usual, thanks ever so much, Michelle. I usually feel shy talking about my inexperience as a blogger. But i discover there are lot of people out there just like me. Its good the kind of support we are getting from the great wordpress team. I started blogging 2 months ago when my career seemed to be taking a different path. I use Pinterest for things at school with my students as they have amazing resources available; however, I have not been great at pinning for neverplainjane and need to start. Thanks so much for the information! The 2014 badges are here!